The ever popular Vauxhall Corsa has shared a British love affair since its original launch back in 1993. The Corsa is brighter, better than ever and is the smartest edition yet. With good looks and sharp design, a comfortable cabin and lively engines, the Corsa is as brilliant to drive as it is to behold. And, with intelligent features throughout, the Corsa delivers big-car ability you wouldn't expect from such a supermini. Attention-seeking has never looked so good, with the Vauxhall Corsa unashamedly drawing admiration from motorists searching for a model defined by contemporary lines and a vivacious personality. In its three-door guise, the Corsa oozes charisma, while the five-door model retains its character and adds greater space and versatility. As such, this is a model that is the perfect combination of style and substance. The interior delivers a sense of sophistication that belies the fact you're driving a small car. Stylish curves and soft-touch surfaces work alongside chrome detailing and ambient lighting to create a welcoming environment that sets it apart from other vehicles on the market. However it's viewed, the Vauxhall Corsa is a delight to drive. Lighter steering with City Mode increases agility with slow speed turns, while the redesigned chassis means responsive driving is assured and a smooth ride is guaranteed. 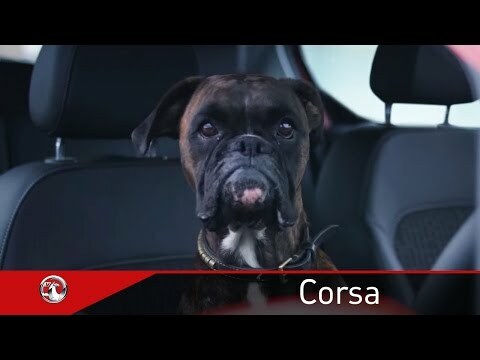 The Corsa certainly raises the class benchmark for driveability, comfort and practicality. Heated Windscreen Combat the winter cold with a number of heating options that are usually reserved for more luxurious models than compact cars. Standard across the new Corsa range, the heated windscreen melts away ice and helps clear condensation quickly and conveniently, so you can enjoy a clear view all-year round. City Mode Pin-point precision, light steering, and enhanced agility are delivered through the new Vauxhall Corsa’s City Mode. Parking and slow speed turns are effortless when activated. Daytime Running Lights Stylish LED daytime running lights help boost visibility of the new Vauxhall Corsa for other road users. The signature lighting helps to make the Corsa stand out from the crowd and is a standard feature on all New Corsa trims. IntelliLink Stay connected and entertained when on the go with the IntelliLink system, a standard feature on the majority of Corsa models. With digital radio, USB, and Bluetooth® connectivity, voice control, a seven-inch touchscreen, and access to on-board apps via smartphone, complete infotainment is offered. Contact our team today to find out how we can find the perfect Corsa model for you.